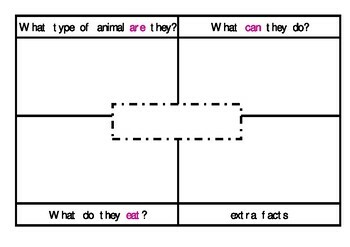 Simple 4 square planning template. - Includes - Can, Are, Eat, Extra facts. Suitable for years Prep - 2.